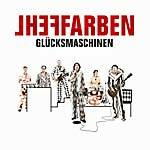 Fehlfarben is considered one of the most influential German bands ever. 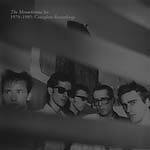 Their 1980 debut Monarchie und Alltag is commonly ranked among the greatest albums ever by German music press and broadsheets alike, alongside internationally-accepted masterpieces such as London Calling or Pet Sounds or What's Going On. 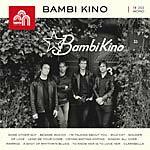 Yet except for the small distinction of having been crowned NME's "Single of the Week" back in 1982, the band has otherwise remained beneath the radar outside the German-speaking world. And it even took over 20 years before Monarchie und Alltag finally went gold in Germany! 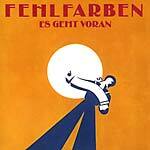 So it's all the more remarkable that Fehlfarben have again been solidly active since 2001, rising above and beyond their own legend and releasing records of a quality and relevance that evades bands a fraction of their age. Fehlfarben emerged from the Düsseldorf post-punk scene in 1979. Despite the iconic status that Monarchie und Alltag (trans. 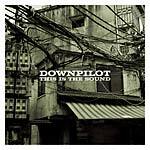 "Monarchy and Everyday Life") ultimately achieved, the band has an unlikely story -- particularly with the departure of singer Peter Hein three days before the tour to support that very same album. 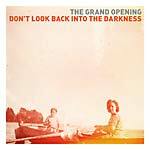 Meanwhile, the song "Ein Jahr (Es geht voran)" -- the band's least favorite song, which was included on the album against their wishes -- was climbing the charts, and the band found themselves surfing the momentum of the New German Wave. Amid a series of further personal changes, Fehlfarben released two more well-received albums without Hein, then split up in 1984. Fehlfarben reunited in 1989 in the original line-up, including Hein, releasing a new album in 1991 -- before disappearing from view again for the better part of 10 years. 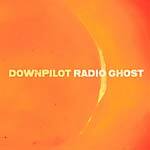 Re-emerging like a phoenix from the ashes in 2002, now with the participation of long-time associate Pyrolator (a legend in his own right), the rejuvenated band has since released four albums. 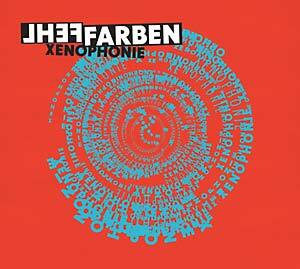 Their second for Tapete Records -- Xenophonie -- finds Fehlfarben in its belated prime, at its leanest and meanest, with their German lyrics as acerbic as ever.